The Asian Forum for Human Rights and Development (FORUM-ASIA) has called for referring Myanmar to the International Criminal Court (ICC) to ensure justice and accountability for the grave international crimes, including genocide, crimes against humanity and war crimes. These crimes were committed in the country, primarily by the Myanmar Military and security forces. Only China, Cuba and the Philippines voted against the resolution in the vote taken at the request of China. 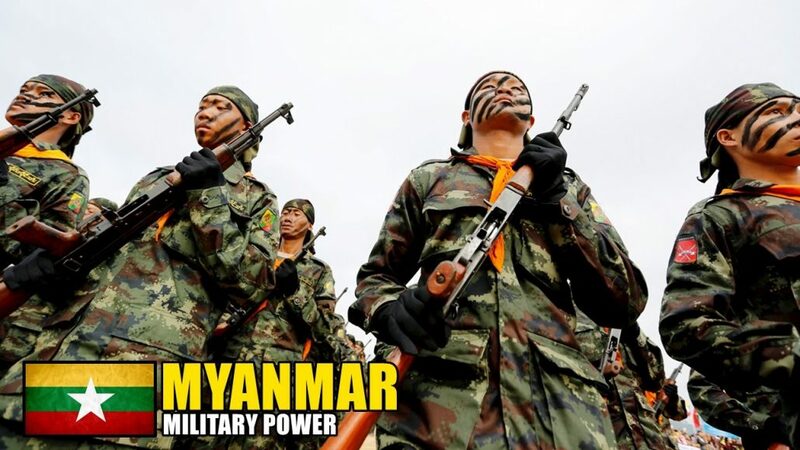 “Given the Myanmar Government’s consistent refusal to hold its Military accountable for the gravest violations of international human rights and humanitarian law as documented by the Independent International Fact-Finding Mission on Myanmar (IIFFMM), the international community must urgently refer Myanmar to the ICC,” says Khin Ohmar of Progressive Voice, a top NGO in Asia. “Commissions and mechanisms established by the Government itself, such as the Independent Commission of Enquiry or the recently announced military panel of judges, are nothing more than attempts by the Government to whitewash its crimes and shirk its obligation to hold the Myanmar Military accountable for the serious crimes it has committed,” Ohmar further said. “Victims and survivors, as well as our human rights community, have no confidence in these mechanisms to deliver justice or hold the perpetrators to account,” Ohmar added. The Council-mandated IIFFMM reported in September 2018 that it had found credible evidence that genocide may have been committed against the Rohingya, while war crimes and crimes against humanity are being perpetrated in Kachin and Shan States. The IIFFMM called for the situation in Myanmar to be referred to the ICC or for an international criminal tribunal to be created to hold the perpetrators of these serious crimes to account. In addition, the UN Special Rapporteur on the situation of human rights in Myanmar, Yanghee Lee, speaking at the Council stated that ‘victims must not be forced to wait in the purgatory of international inaction’, conveying her firm belief that Myanmar must be referred to the ICC by the Security Council, or by a state party or a group of state parties to the Rome Statute. The resolution further calls for the expeditious operationalization of the ongoing independent mechanism created by the Council in September 2018 to collect, consolidate, preserve and analyze evidence of the serious international crimes and violations, and prepare case files to facilitate and expedite fair and independent criminal proceedings. The independent mechanism was set up in response to the findings of the IIFFMM. “We welcome the resolution’s call for urgent operationalization of the ongoing independent mechanism. It is a first step towards justice and accountability in Myanmar. The international community cannot afford to be complacent and satisfied with merely setting up this mechanism. With undeniable evidence of the gravest crimes under international law, the international community has a responsibility to hold the perpetrators to account and ensure justice for victims by referring Myanmar to the ICC, or by setting up an international tribunal,” said John Samuel of FORUM-ASIA. In addition, the resolution extended the mandate of the Special Rapporteur on the situation of human rights in Myanmar for another year. Decrying the Myanmar Government’s refusal to allow the Special Rapporteur access to the country, the Council called on the Government of Myanmar to immediately resume cooperation with the Special Rapporteur and allow her unrestricted and unmonitored access throughout the country. The resolution also called on Myanmar to allow other UN and international bodies – including the IIFFMM and, once operational, the ongoing independent mechanism – to independently monitor the situation in the country and to ensure everyone can cooperate with these mechanisms without hindrance and fear of intimidation or reprisals. Human rights defenders and civil society organizations in Myanmar have repeatedly raised concerns at fears of attacks and harassment by both state and non-state actors against individuals and organizations that have sought to cooperate with UN mechanisms or advocate for justice and accountability for grave violations against Rohingya and other religious and ethnic minorities. The resolution adopted by the Council today reflects FORUM-ASIA’s repeated calls for a comprehensive, independent inquiry in to the in involvement of the UN in Myanmar since 2011 to establish whether everything possible to prevent or mitigate the crisis was done, and invites the UN Secretary-General to present the report of the inquiry to the Council in March 2020. FORUM-ASIA and Progressive Voice welcomed the inclusion in the resolution of their calls on the Council to outline conditions to ensure safe, voluntary, dignified and sustainable return of Rohingya refugees and forcibly displaced persons to their places of origin in Myanmar, including the restoration of full citizenship, repeal of discriminatory laws such as the ‘race and religion protection laws’ of 2015, guarantees of freedom of movement, unimpeded access to livelihood and social services, and compensation for losses.